I love to eat. Unfortunately for me, if there is a top 10 ten list of worst foods to eat for your health, they probably match my top favorite foods. I’m assuming baked goods, full of butter, sugar and all sorts of other deliciousness are on many “no-no” lists, but my thinking is if you eat them in the name of a good cause, then all the badness goes away – right? Lets go with that. 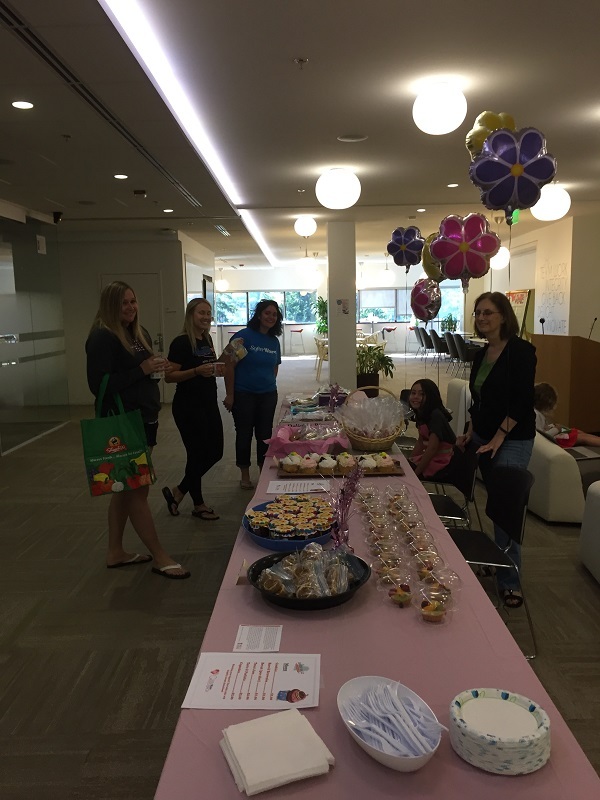 SofterWare just had a one day bake sale where everyone was invited to bake their best stuff, from chocolate cupcakes and s’mores bars, to banana loaves and gourmet fruit tarts. It was a baked goods treasure trove! I bought 10 items in the first 1 minute and shamefully ate many of them shortly thereafter. The good news is I later went back for more! Why is that good? 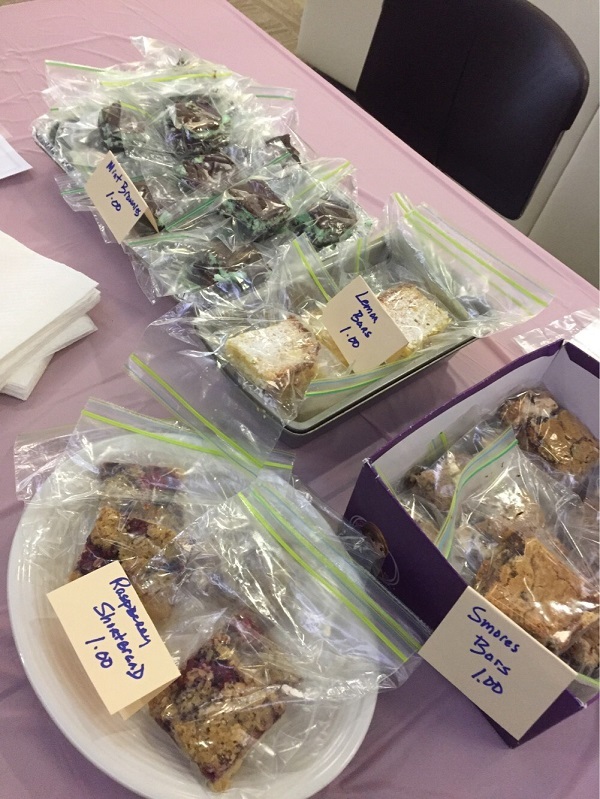 Because the bake sale benefited No Kid Hungry, a nonprofit that provides meals, food education, research and advocacy on the behalf of children. We’re told that the $750 we raised in this one day smorgasbord of goodness will provide 7,500 meals to hungry kids! I’m pretty sure that negates all the calories (that, and an hour on the elliptical, which I promised myself I’d get to next week). 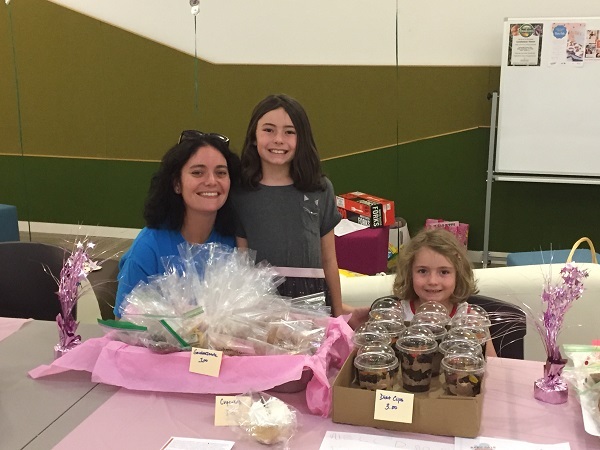 Lindsey Minnich and her adorable children ran most of the bake sale. They were hard to say no to (as were the brownies). A close-up of just some of the baked goodness! Some hungry, happy customers doing their part to raise money for No Kids Hungry.